A new school year means that hundreds of educators, new to their profession, bring with them a need for support and guidance. In school districts across the state, faculty and staff for K-12 schools and universities are hosting orientations for new hires. And the members of North Dakota United and our local associations are there, ready to help. 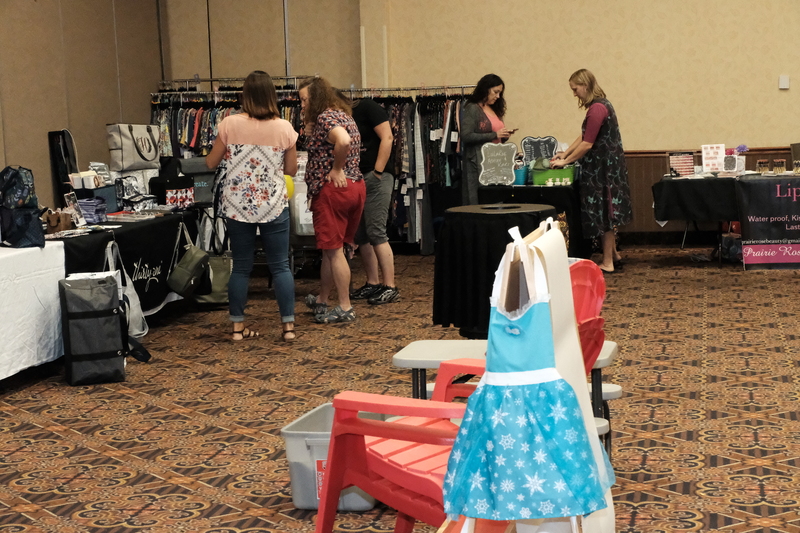 In Bismarck, the Bismarck Education Association hosted its first-ever Teacher Supply Swap & Trade Show at the Ramkota Conference Center on Thursday, Aug. 10. Teachers were able to reserve a table to sell supplies and materials they no longer need, alongside vendors selling goods that would be useful for educators. 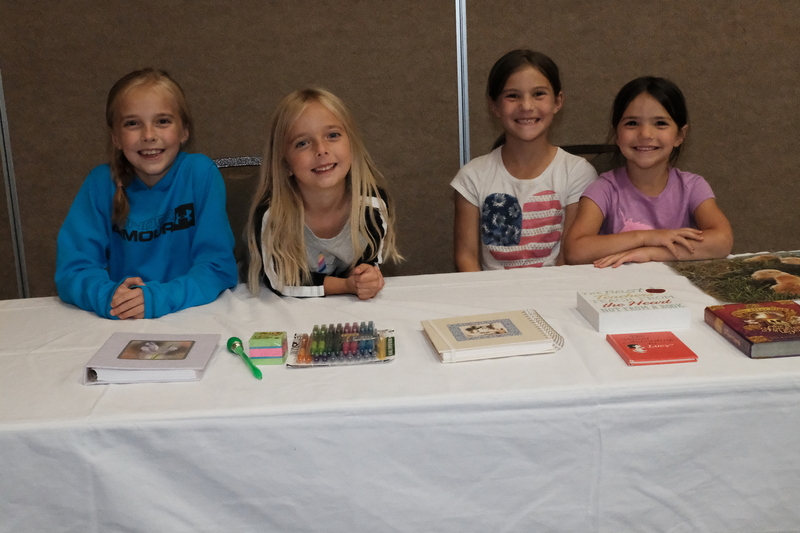 Four young children enjoyed themselves at the Bismarck Education Association Supply Show & Trade Show at the Ramkota Convention Center in Bismarck. 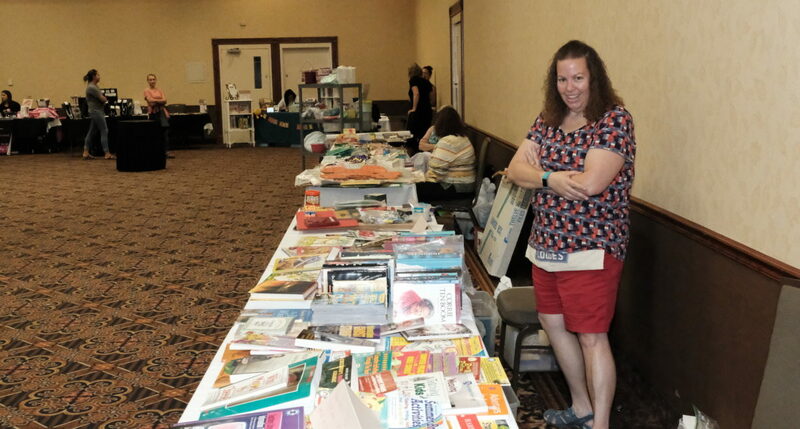 She had experience participating in vendor fairs previously and led BEA’s efforts in putting together the event. Additionally, BEA received a $500 PR grant from North Dakota United, which helped pay the costs of promoting the Supply Swap. BEA President Lori Furaus welcomes a teacher to the 2018 Supply Swap & Trade Show in Bismarck. To encourage attendance, BEA used their Facebook page, e-mail blasts and promotional ideas. “We gave away some early-access passes so people could come in and shop half an hour early if they shared or commented (on Facebook),” Nehls said. Attendees were also able to throw their name into a drawing for door prizes. Shoppers at the BEA Supply Swap & Trade Show in Bismarck. At the end of the event, BEA felt it was a successful start to what they hope to do annually. “The need’s there, definitely, for a new teacher to gather materials,” Nehls said. Since teachers are routinely paying for their own classroom supplies, it pays to find the best deals.